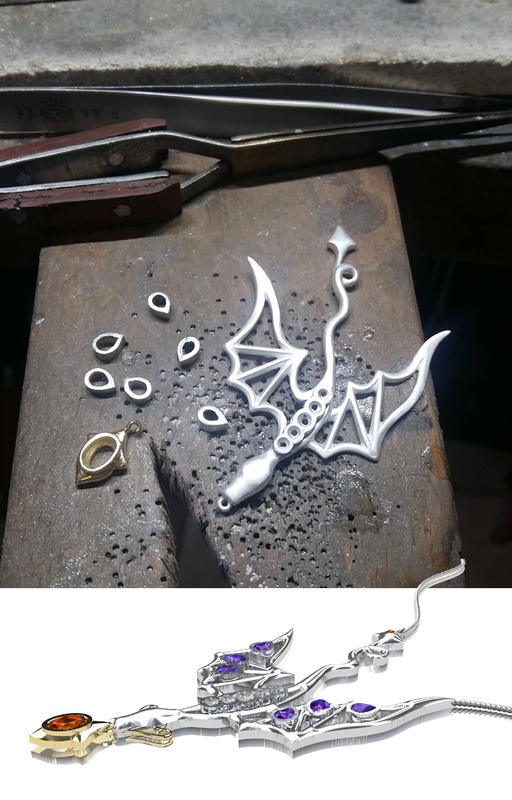 It’s not often you get to design and commission your own unique piece of jewellery and you may be thinking it will be a daunting experience but the process should be fun and memorable. You don’t need any knowledge of jewellery. You may have a few ideas, scribbles, Pinterest boards or simply have an occasion to have a piece of jewellery made with no ideas of your own. If the piece is a surprise gift or engagement ring I’ll often ask what type of jewellery the wearer likes, what lifestyle do they have, what do they like; flowers, animals, stargazing, anything that may spark some design inspiration for an original piece of jewellery which really has a connection to you and the occasion you preparing for. All of these ideas and questions can be discussed in a meeting with no obligation to buy anything. 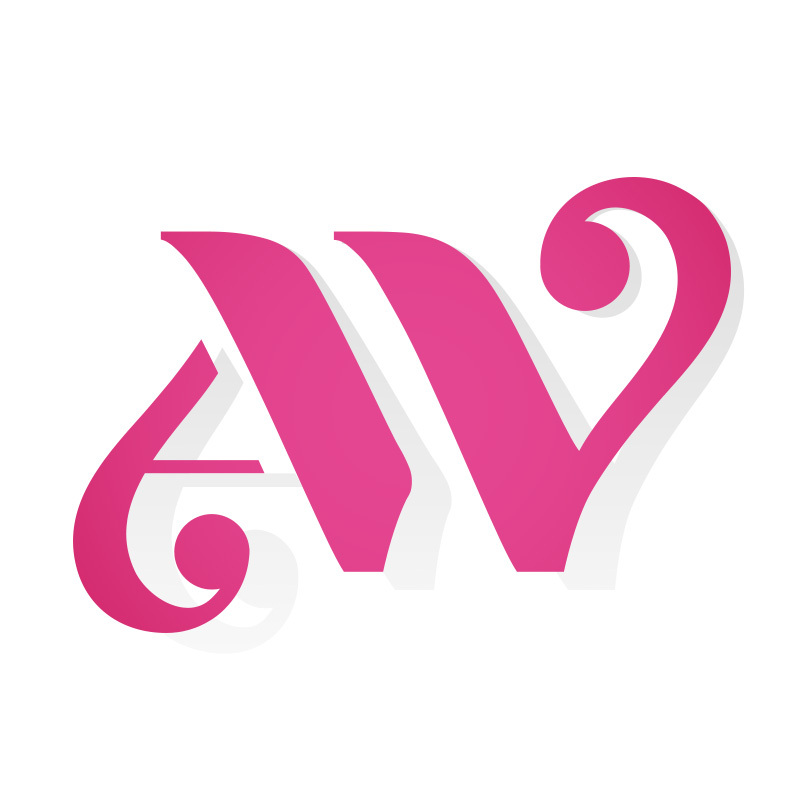 If you are not in the Bristol area we can even arrange skype calls or emails instead. It will all start with an initial conversation discussing ideas, metals and stone choices as well as your budget. 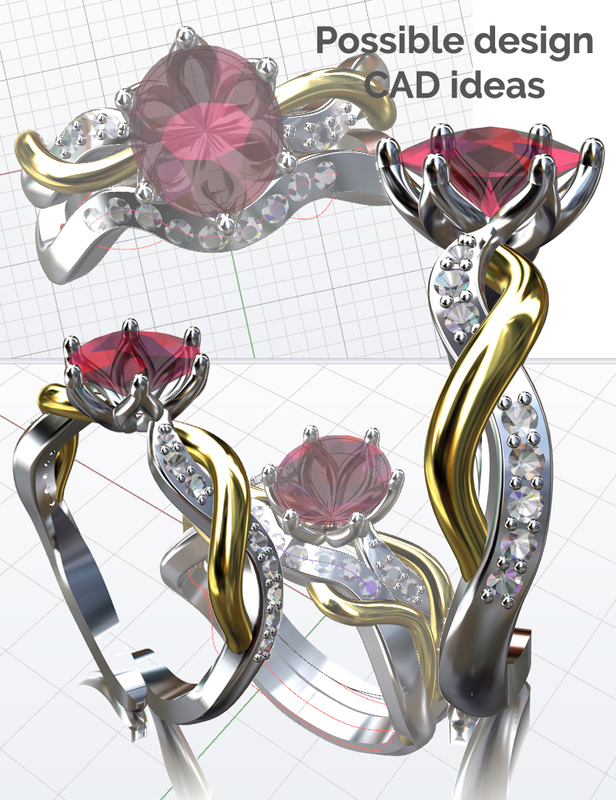 Depending on the piece to be made you may receive some hand sketched ideas or a CAD (computer generated) image. You can think of these as a starting point, changes can always be made during the design process. 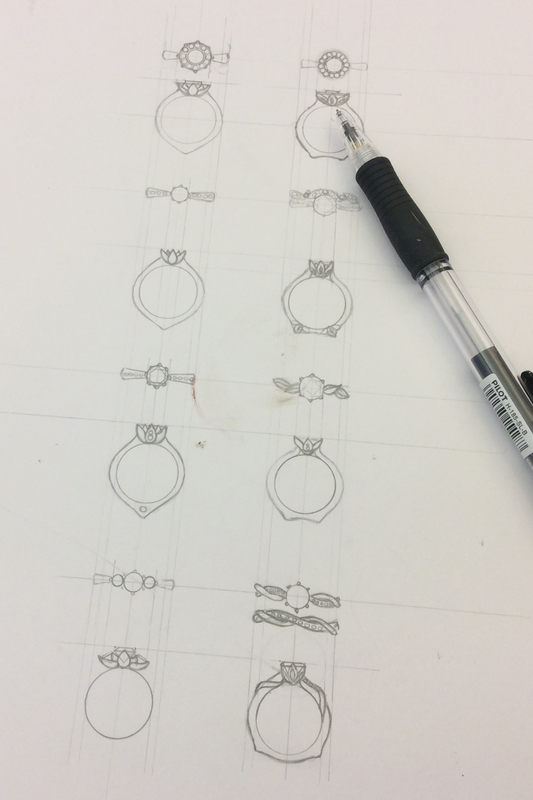 Fitted wedding rings will require your engagement ring during the design process and again during the fitting process to ensure the perfect fit. Once you are happy with your designs we can begin making. Everything is made in my Bristol-based workshop. A 50% non-refundable deposit will be required with the remaining balance payable once the piece is completed. I aim to keep everyone up to date with the progress of your piece with images during the making process. Making your piece will often take 8-10 weeks however if you have a tighter deadline please let me know, I can usually help. Sourcing the perfect jewels for your piece of jewellery can give you lots of choices. 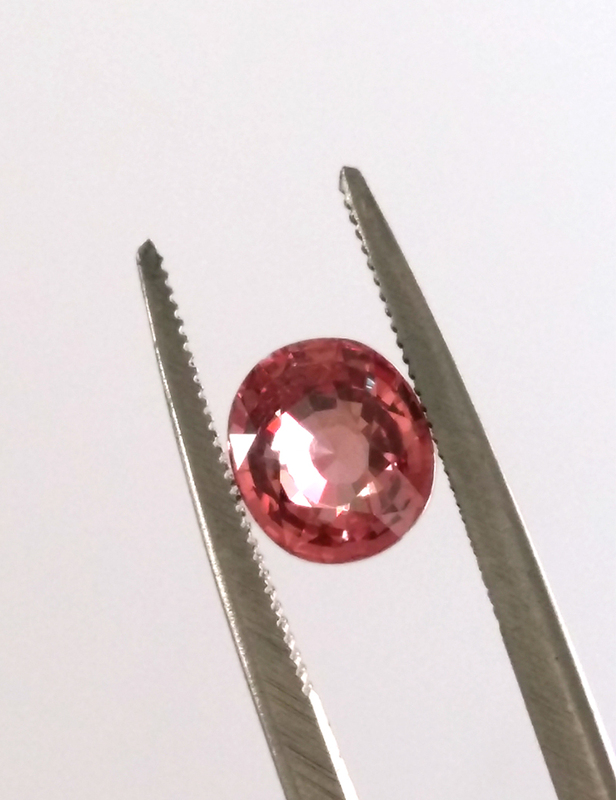 You can always choose to view your gemstones, diamonds and any relevant GIA certificates before the making process ensuring you are confident in what you will receive at the final presentation. 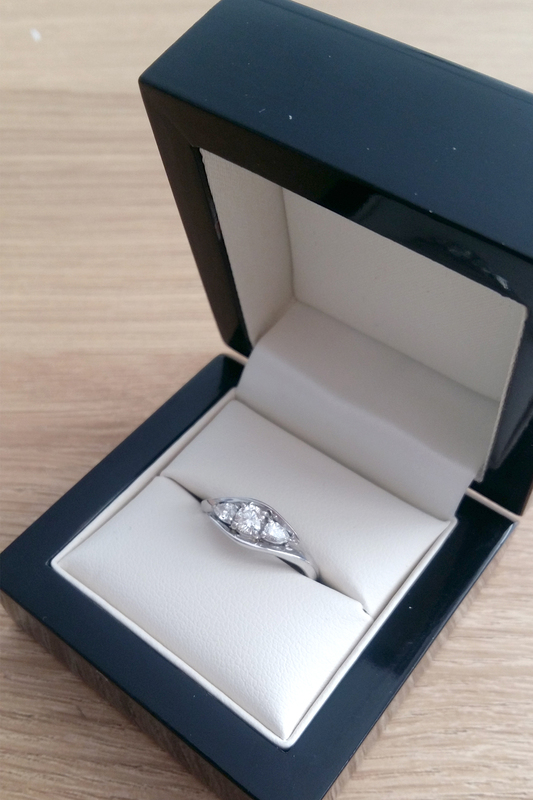 Each piece is beautifully presented in a high-quality box, perfect for you to keep your jewellery in or present it as a gift.